The M4315-PRO Power Management with Control System from Panamax is a rack-mountable, power management system that features Panamax's AVM (Automatic Voltage Monitoring) circuit and Linear Filtering Technology (LiFT) to provide AC protection and purification. 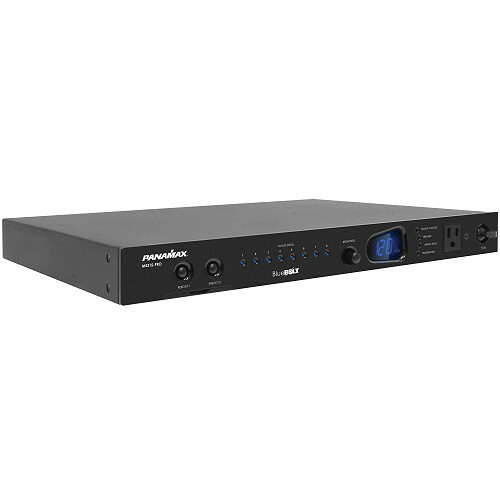 The included BlueBOLT-CV1 provides secure, hosted IP system control and monitoring for the M4315-PRO. Box Dimensions (LxWxH) 21.5 x 20.0 x 4.5"